Minimum quantity for "Pre-Formed Peel & Stick Literature Holder, FLBX-8571" is 25. 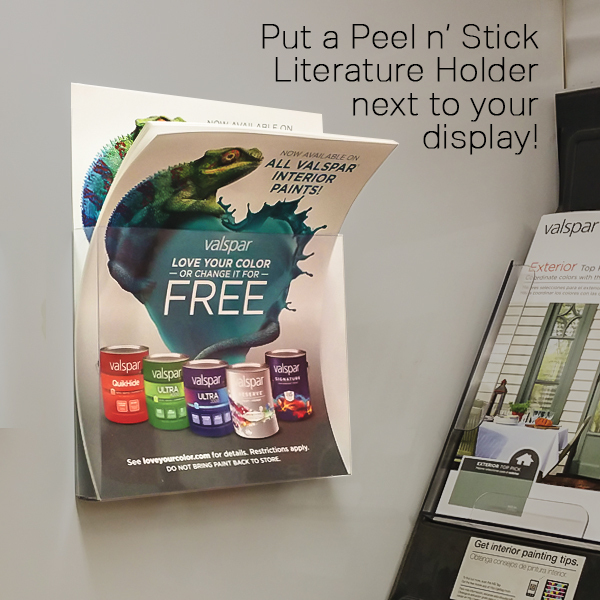 Easily create a literature pocket for wall mount usage on any flat surface! This literature holder fits standard 8.5" x 11" brochures, sell sheets and flyers. 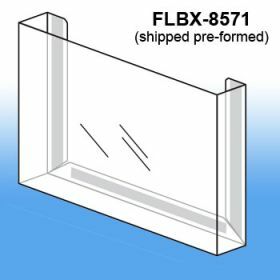 These peel and stick versions are made for wall mounting, affixing to a temporary retail display unit or placing on trade show exhibits. If you need a more permanent brochure holder for 8.5" wide printed material, check out our Item # C-230.